As you explore the darkness, the Pokémon TCG: Black & White—Dark Explorers expansion ushers in the return of the immensely powerful Darkrai-EX and a lineup of Darkness-type Pokémon, like Zoroark, Umbreon, and Sableye, to knock your opponent’s lights out! Playing with Trainer cards like Dark Patch, included in the expansion to help give Darkness-type decks an edge you’ll not only navigate the darkness, you’ll rule it! 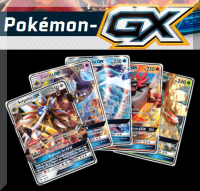 The fifth Pokémon TCG: Black & White expansion also continues an impressive run of featuring Unova and non-Unova region Pokémon-EX cards, more powerful Pokémon that deliver devastating attacks to your opponents. Darkrai-EX is joined by Tornadus-EX, Kyogre-EX, Raikou-EX, and Groudon-EX, all featured as Pokémon-EX cards and rare Ultra full-art Pokémon-EX cards!